complexity and deep dark fruit, and some tart red fruit, along with some deep sweetness. Yes that’s a mixed bag, and yes, it can come off as confusing depending on what you’re enjoying it with. And about that sweetness … um, it can be a problem. As soon as you compare Kaiken Reserva to a neutral wine or a dry wine, it feels like it’s loaded with high fructose corn syrup. However, if you DON’T compare it to another wine, and you have it with spicy food, you are gonna be one happy hombre. The Gascon is more manly and dry – this one’s all about intense leather, tobacco, soil, and other manly things like the pouch on Anthony Quinn’s horse, in a 1950’s move about Bolivia. There is no high fructose corn syrup here, my friend. Just darkness. So dark, that you can’t really describe it. Probably because this is only a $12 wine. But for $12 it’s good — better than Gascon has performed in past vintages, according to me. Some in our testing laboratory called it a very BIG wine because of its boldness, while others noted that it was less viscous than Kaiken so maybe the Kaiken felt bigger. 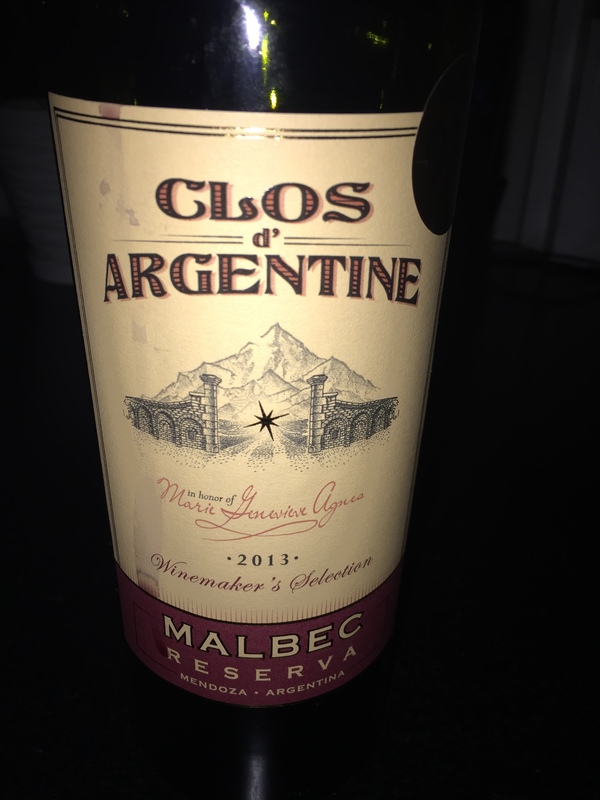 The Clos d’Argentine is not something I’m familiar with, but the bottle is taller, and heavier, and the label reeks of tradition and quality. The only problem with that whole set up is that the wine itself is just, boring. Corporate. Flat. In this test, it just didn’t bring much to the table. However, it was up against two very colorful, interesting wines, so if you have it by itself you may be happier than we were. 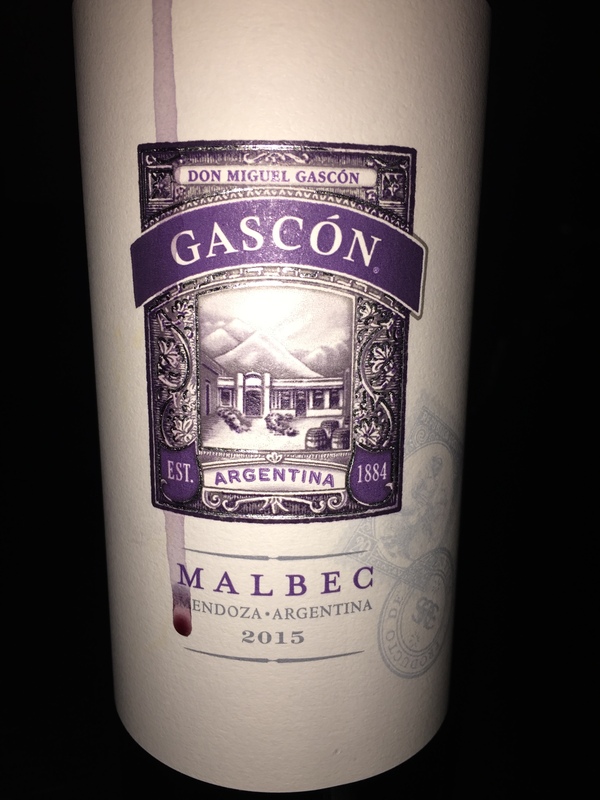 The winner in this shootout SHOULD be the Gascon because it has a bold, distinctive character at only $12 which is remarkable, and it doesn’t do anything really wrong, which is even more remarkable. However, this is MY wine blog, see? So I’m gonna award first place to the wine I want… and that’s Kaiken Reserva. Sure, it’s a bit sweet. Yes, its flavors can be viewed as confused. I don’t care — this wine is luscious, big, warm, friendly, and just a bomb of red wine indulgent happiness that should sell for $10 more. 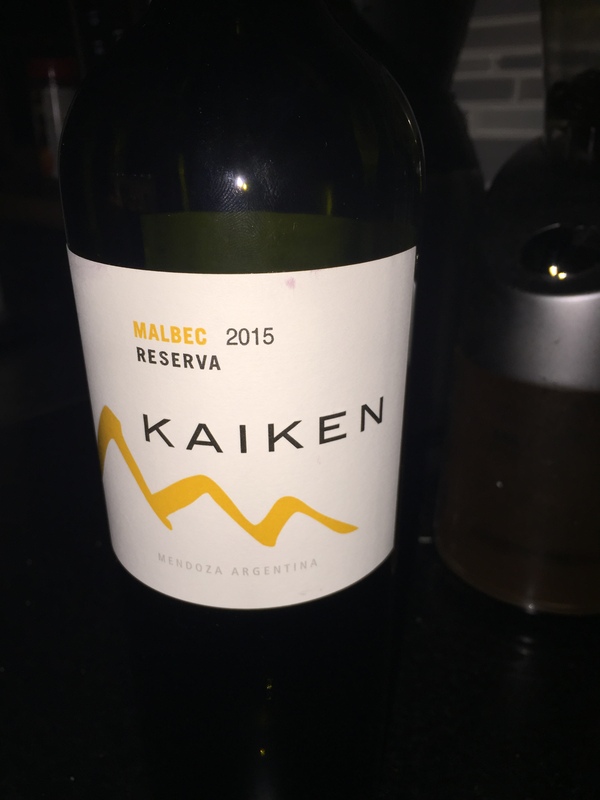 Winner: Kaiken Reserva 2015. Total Wine, $12.19.